The following article is a part of our blog series, REAL Retail. Real stories from real people in retail. Whether it’s the elephant in the room or a highly relatable story, our authors who have direct, real-life retail experience, like to dive in head first. Today’s shopper values two things above most others: convenience and consistency. Friction along any path adds time to the experience, and in retail friction along the path to purchase opposes two of the most valued expectations. Think of it like rush hour traffic; it impedes our path and can lead to frustration and re-routing. This can be applied to the customer journey in retail experiences. Friction on the path to purchase impedes the sale and derails the journey; and, this concept does not begin or end in the brick and mortar space. It starts in any channel where the consumer begins to research the item(s) and then continues post-sale long after they have left the physical space. In fact, any friction post-sale informs a potential future sale having a lasting impact of the retailer’s bottom line. 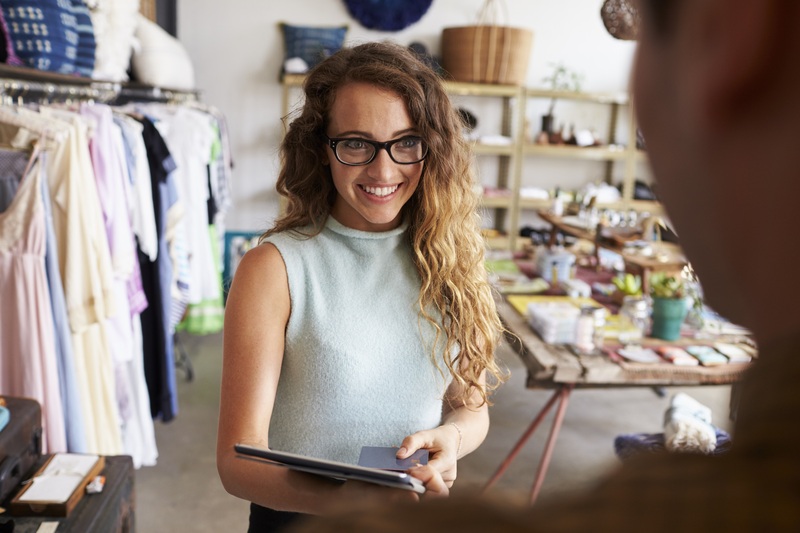 Creating a frictionless journey for the customer is a hot concept right now in retail. As part of our REAL Retail series let’s look at some real-world examples of creating vs. eliminating friction. There are many tools to assist in this quest. Innovation can dramatically limit the friction along a buyer’s journey, enable sales and inspire future shopping trips. Innovation does not always mean technology. It is managed in an ecosystem of influencers. Excellent customer service can act as an enabler and reduce the friction. Last semester, my daughter returned her rental books to Amazon. We followed the Amazon process for returning the books, prepped things on time, boxed all books together in a single box as instructed, enclosed the label and dropped the box at UPS. When Amazon received the box, they only logged a single paperback book as returned, and we received a notice to return the others. I was very concerned as unreturned textbooks carry a hefty price tag. I called customer service and the agent quickly considered the matter and though unable to find the other books in their system told me my account was in order, thanked me for my business, and advised me there would be no further actions. I had the UPS receipt with the weight logged for all the books to prove I had returned them all in the box; however, Amazon did not require this of me. This was a friction point in the post-sale. It made me stop and take an extra step of calling customer service; however, because the agent was mindful of this, the friction ended right there and did not require me to find my receipt or send it to them as proof. This action ensures I will do more business with that group. They nicely filled my need for convenience and consistency. On the other hand, a retailer’s actions can create friction. Recently, I was shopping for boots on a popular outdoor retailer’s website. The boots were being offered at 25% off which is rare for this brand. It was a great time to buy! I added the boots to my virtual shopping cart knowing the sale ended at midnight and then … I fell asleep. The next morning, I jumped right back into the buying process hoping the sale had continued, as many retailers’ sales often do, but found this one had indeed ended, and I had missed the window of opportunity. Needing the boots, I was prepared to pay full price. When I went back into my virtual shopping bag the boots were gone. Seemingly the expiration of the promotion triggered a clearing of my cart. Guess what? I never got around to searching for the boots again and restarting the process. Why? It was inconvenient. That point of friction cost that retailer my sales and put a bad taste in my mouth going forward. Not only that, but it opened the door wide for the retailer’s competition to earn my business. I am an outdoor enthusiast in a family of outdoor enthusiasts, so this is a loss. That is why creating a frictionless shopping experience is so important. In the latter example, better configured and thought through technology could have saved the sale and dramatically improved the experience. Technology in retail affords us many different paths to eliminating the rub throughout the customer journey. It is a part of the overall strategy and in the hands of the right technologist can be a vital part of an overall ecosystem of solutions that ensure a given retailer’s future success at a time when the customer’s needs are paramount and convenience and consistency rule the outcomes. Read our previous article in the REAL Retail series: FAQ: What's the ROI of Digital Signage?.